An essay on the characters from A Raisin in the Sun look into the rich and diverse characters that give an insight of the African American community in the urban north. 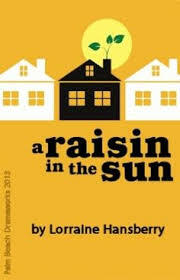 The characters in Lorraine Hansberry’s A Raisin in the Sun are rich and diverse, giving the reader insight into the African American community in the urban north in the years after World War II. Custom character analysis projects on Lorraine Hansberry's novel are available from the writers at Paper Masters. Walter Lee Younger is a chauffeur for a wealthy white man; he resents his station in life and is willing to do anything and everything necessary to advance himself and his family, even if it means sacrificing money that was not his. Walter's wife, Ruth, is a perfect example of the transition women were experiencing during this time period. On one hand, she is a dutiful wife, caring for Travis and being responsible for the domestic tasks in the home; on the other hand, she blatantly ignores her husband’s requests, challenges his ideas and dreams, and actively seeks an abortion, without Walter’s knowledge, for a child she does not feel she can care for. Beneatha is one of the most diverse characters in the play. A young African American woman, she is undergoing a vast amount of change in a short period of time. Hansberry makes it clear that Beneatha is on a quest to learn about herself and her culture; she reaches out to Joseph Asagai prior to the start of the play in the hopes of learning about Africa. She moves from one hobby to the next, trying to find something she is passionate about. She is a modern woman, dating two men with two very different intentions; however, she is not promiscuous and will refuse intimacy with either of them if she does not feel it is supported by genuine emotion. Karl Lindner is a perfect example of the two-faced nature of racism in the north in the 1950s. The culture of cities, and in particular cities in the north, was not as blatantly discriminatory as it was in the South; Jim Crow practices existed, but it was not necessarily legally enforced. When Lindner comes to the Younger home, he introduces himself as a member of the Clybourne Park Welcoming Committee; he proceeds to call the Youngers “you people” and offers them money to stay away from the all-white neighborhood. He symbolizes the way African Americans would be treated with a modicum of respect in the public sphere while being actively discriminated against in more subtle ways. Mama’s son, Walter, dreams of being his own man and owning his own business. He does not want to spend his life saying “Yes, Sir” to someone. Walter dreams of taking some of the insurance money and investing it in a liquor store. Mama does not believe in his dream and claims, “We ain’t no business people. We just plain working folks.” Walter is angry that his dreams are dismissed quickly by his family. When his sister does not want him to have any of the insurance money, he screams, “He was my father, too.” The insurance money from his father represents the ability to achieve one’s dreams as money brings options to a poor family. He is angry that his family does not believe he is entitled to a legacy of dreams left by his father. However, he is also quick to dismiss others’ dreams. His sister, Benethea, dreams of being a doctor and “seems not to consider the unlikelihood of a black woman’s being admitted to medical school at this time in history.” Walter questions her dreams and belittles them. He yells at her early in the play, “Who the hell told you you had to be a doctor? If you so crazy ‘bout messing ‘round with sick people—then go be a nurse like other women—or just get married and be quiet…” While Mama thinks Walter should realize that “working folks” aren’t business people who make “lucrative deals” over lunches, Walter also thinks his sister should realize that women do not become doctors. Walter invests the money with a friend, who runs off with the money, destroying his dream of owning a liquor store. In the meantime, a gentleman, Mr. Linder, representing the interests of the all-white neighborhood tries to purchase the home away from Mama. Integrating the neighborhood is a risky way to fulfill Mama’s dream. Walter plans to accept the man’s offer, and defer Mama’s dream once more. Benethea considers taking up her boyfriend’s offer and returning to Nigeria. Her boyfriend, Asagi, is confident in his dreams of changing his nation. Asagi does not question his identity at all throughout the play, unlike his African-American counterparts. The audience never discovers if Benethea returns to Africa with him or ever achieves her dreams of becoming a doctor. Paper Masters writes custom essays on the characters from A Raisin in the Sun and look into the rich and diverse characters that give an insight of the African American community in the urban north.